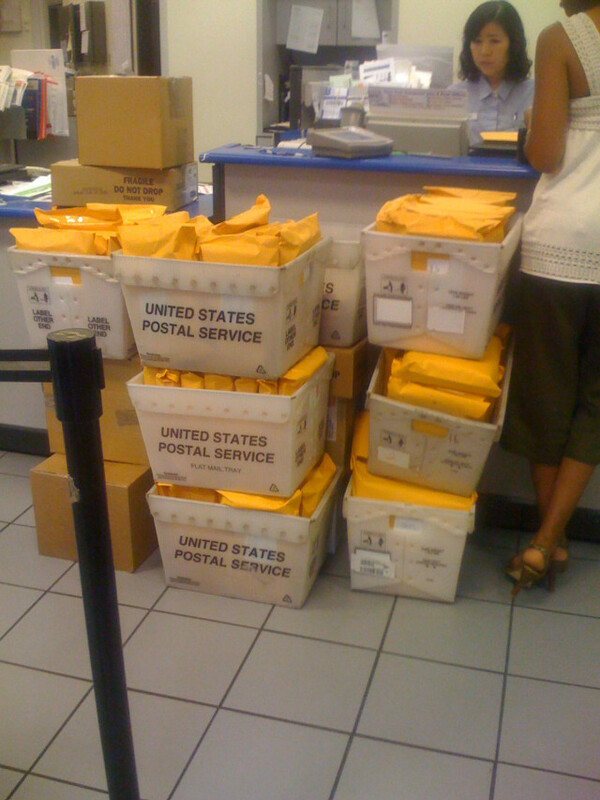 This is why the lines at the Post Office are slow! Someone bringing in their business mailings during lunchtime. Sigh. This entry was posted in Interesting on May 29, 2009 by Mark. Don’t they have the automated machines at that branch? They are very handy and take credit cards. Yes, they do. However, I was in line to buy a Postal Money Order which the machine doesn’t handle.